In the 1930s and ‘40s, it was known simply as “the store.” It did not seem to need a name since it was the only store for miles around. It usually functioned as the hub of a community on weekdays, ceding that status only on Sundays to the area churches. 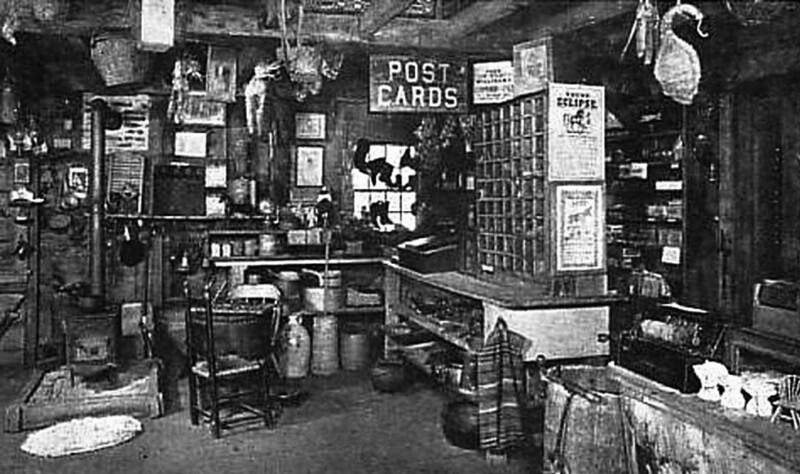 The family-owned “mercantile” thrived on the country’s lack of transportation and logistics systems. Supermarkets such as A&P and Kroger’s were another 20 years down the road for families in the rural deep South. Larger cities were able to support larger chain markets, but it was not feasible for folks on the farm to hitch up a wagon and drive 20 or 30 miles into town for groceries. Besides, owners of the big stores in town would never consider allowing customers to charge groceries until harvest time, or accept butter, chickens, or eggs as payment for goods. 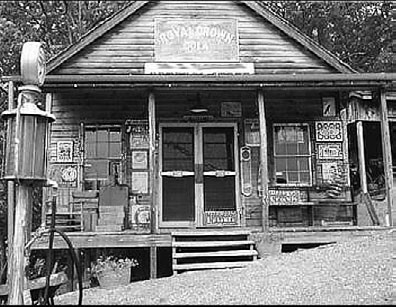 It could be said that the rural country store was a forerunner of today’s super centers like Target and Walmart because they stocked under one roof virtually every item a family needed. They supplied everything from aspirin to zinc washtubs. They had work clothing, feed, fertilizer, seeds, groceries, farm tools, and baby diapers. They practically invented one-stop shopping. Those were the days when flour, sugar, coffee, and even crackers came in large wooden barrels and cheese to go with the crackers came in 20-pound hoops. Those with manually-operated pumps out front sold gasoline for 15 cents a gallon and provided equipment to patch a flat tire. Soft drinks were a nickel and so were Moon Pies, but not everyone could afford such luxuries. Money from the sale of every boll of cotton and every ear of corn was needed to pay off last year’s debts and prepare for next year’s crops. In winter, when the harvest was all in the barns and silos and the garden vegetables were securely canned and stored in the cellar, neighbors would gather around the pot-bellied stove in the store and stay current on politics, world affairs, and who in the community were saints and who were scoundrels. By 1945, a more affluent and savvy generation emerged from the savage war and demanded more. Those fortunate enough to return home with life and limb intact set about building better roads and more dependable vehicles. They, in effect, brought the big cities out to the small rural communities, and shopping centers were born. Was life in America better then without the hassle of modern times? Have we progressed from near poverty up to Shangri- La, or have we regressed from the serene safety of olden days to moral and social dilapidation? Perhaps neither. At the turn of the 20th century, hordes of people were clamoring to come to the American Promised Land. In the 21st century, the flight continues. America was good then and is better now because of those sacrifices made decades ago.